Beth’s exploration started with a change of major, and ultimately a change of heart. When she visited campus, she knew this was the place to make her future a reality. Why did you decide to come to Penn College? I was switching from nursing to occupational therapy. I looked at five different schools and this was the most appealing option. Everybody here was so nice and so willing to help. It’s just a welcoming campus. Everyone went out of their way to make sure I didn’t have any questions. I got all the information I needed. It was just really welcoming. Did all of your credits transfer? All of them except for my nursing classes. Any advice to new, incoming transfer students? I would definitely say to come tour and talk to the faculty in your program or the one you’re interested in so you can get more information. They are so helpful. Look at every aspect of the college, what it has to offer, and the surrounding area, too. It was a big factor for me, looking at what we had around here, to see outside of campus what there was to do, like stress relievers. Here, there is more scenery. Is there something for you – instructors, labs, campus – that stands out that makes you feel good about being here? The instructors are very personable and go out of their way to make sure you’re feeling OK. If you’re not confident about a test, they’ll go out of their way to make sure you can come see them. Or, if you’re looking tired one day, they’ll come up and ask you, “Hey, what’s going on? Are you doing OK?” You can tell they want the best for you. Other logistical aspects of the transfer process that was particularly helpful in the transfer process? I think for me, since I don’t live around here, the best part was for placement testing. I was able to do that test at home rather than drive 3 hours here to take the test. The Staying Connected sessions was a big help in meeting people in the same situation. They’re always very informative. We’re actually in the process right now of starting a Transfer Student Club – for all of us to get together and have someone to lean on during the process. 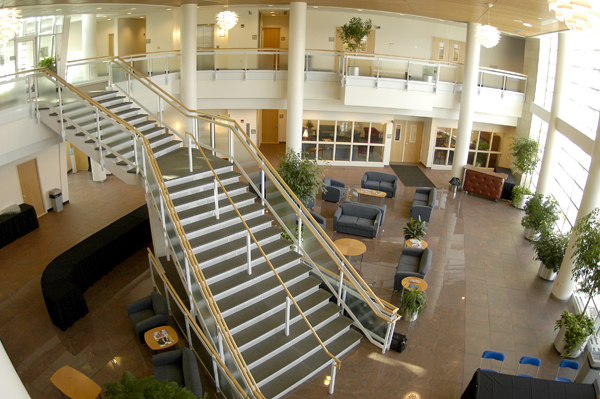 Did you visit Penn College? I came for the Spring Open House. My mom and I came down. I thought it was very nice, everything looked very clean and well kept. Everything was very convenient and everyone who was working that day was so nice. They would come up to you and start a conversation, ask if you needed help or anything. It was very welcoming from the very beginning. What are you looking forward to in your career and how to you feel Penn College is preparing you for that? I think they give us really good placements for field work. Right now, I’m in Evangelical Hospital. It’s a great place. I love it. I am learning so much. The professors here are great at giving you opportunities to get good placements. If you have any questions about where you can go, ask them about that. I’m excited to put all that into use.